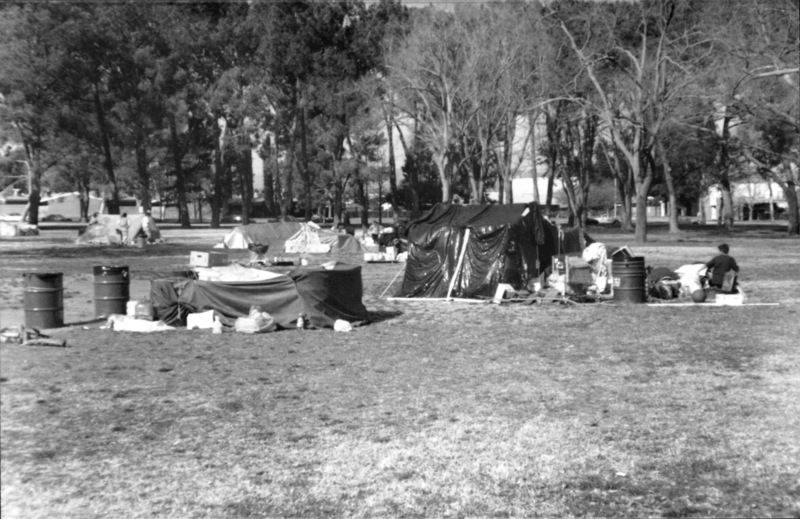 Some of the families displaced by the earthquake set up their own crude tents for shelter in Newhall Park. At the same time, a Red Cross shelter was operating on the other side of the park inside the Boys & Girls Club gymnasium. LW9405: 19200 dpi jpeg from original 3½x5" photograph by Leon Worden.